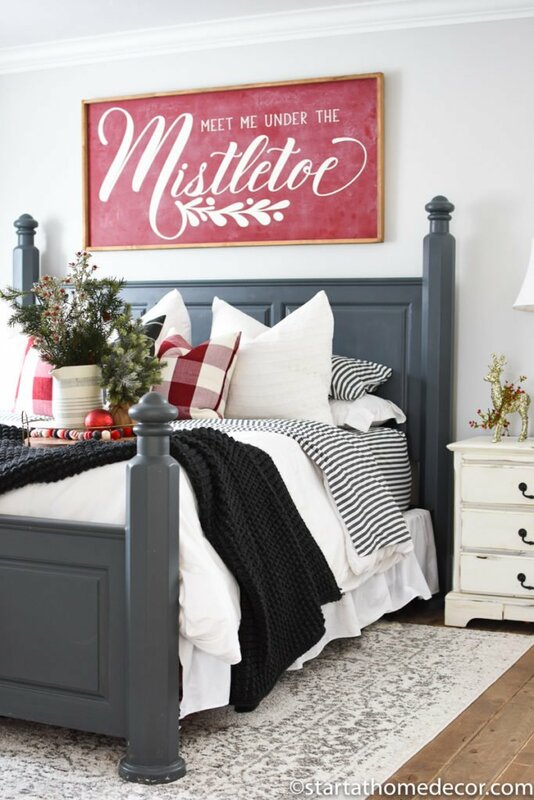 I wanted to bring holiday decor into my bedroom without changing the whole thing up, so a Christmas master bedroom was on the list of projects to complete this week. Honestly, it was easier than I thought! 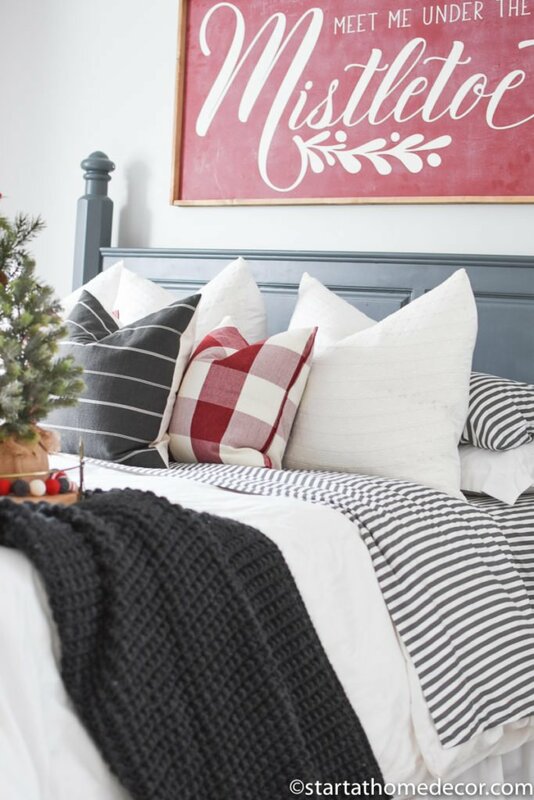 I love bringing the holiday atmosphere into bedrooms as well as the main rooms in my house. Next, I added 2 new pillows I got off of Amazon for super cheap… $6. They compliment my pillows I use every day so well. The charcoal one is from Jules and Tone and the big Euro pillows are from The Paisley Pocket. And don’t forget to note my cute little tabletop decor! See? 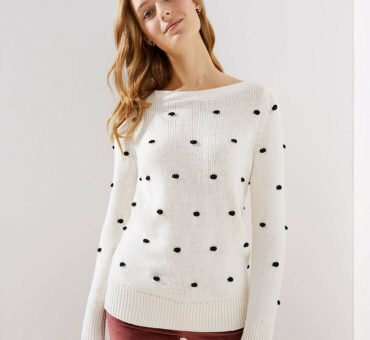 It’s all in the accent pieces! 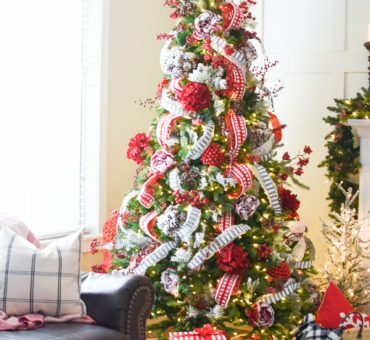 That little gold reindeer adds just the right amount of Christmas without overpowering the room. 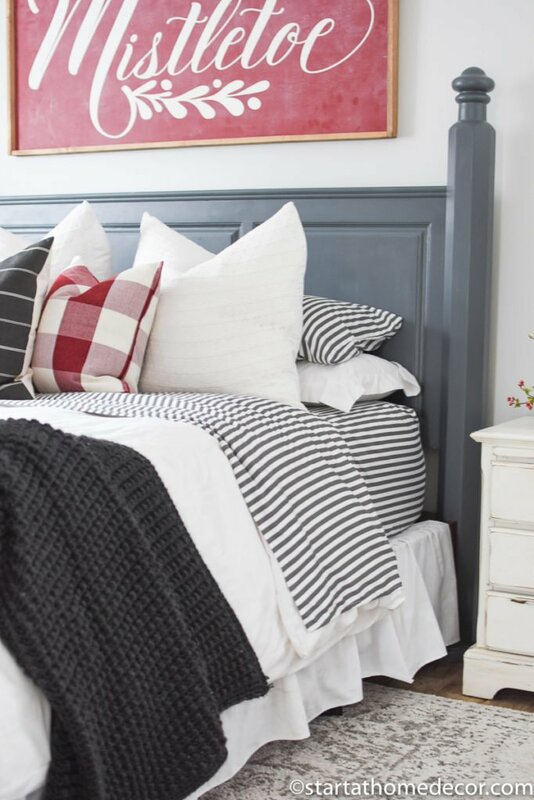 I love how versatile my sheets and Duvet cover are from Linens and Hutch, they go with everything and they are so soft. 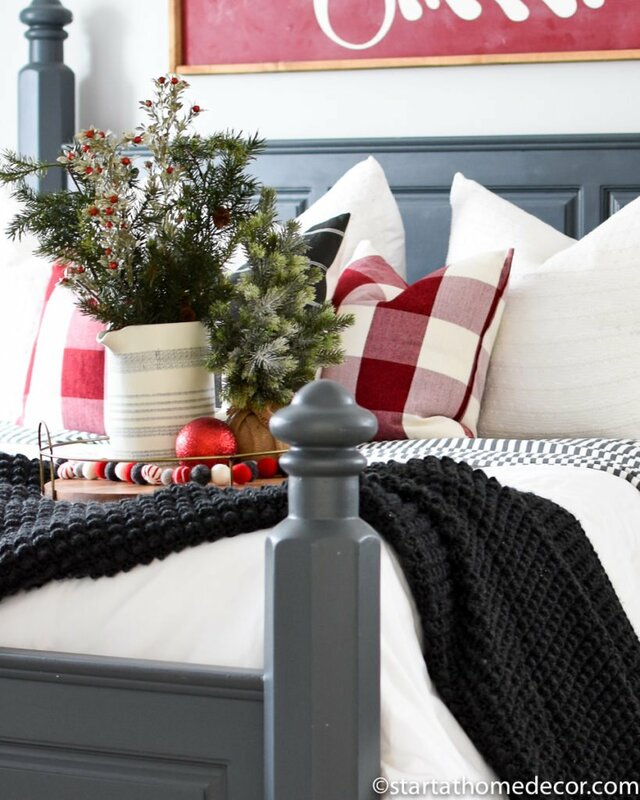 I still love my rug from Well Woven because it helps to pull all the grey tones together. As for my bed, I did refinish it recently. You can see the tutorial here. I painted it with Peppercorn by Sherwin Williams. 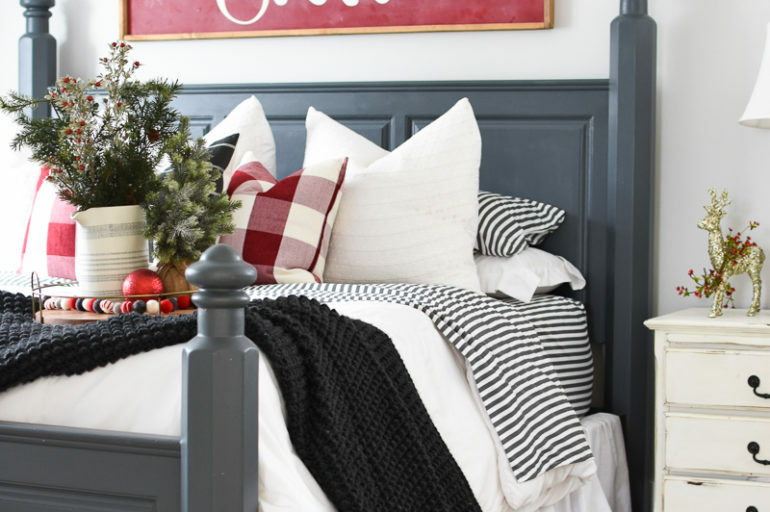 There you have some easy ideas to compliment your Christmas master bedroom!